Walker, James Backhouse , Lantern Slide of Hobart Town, Van Diemen's Land from the Harbour , University of Tasmania Library Special and Rare Materials Collection, Australia. 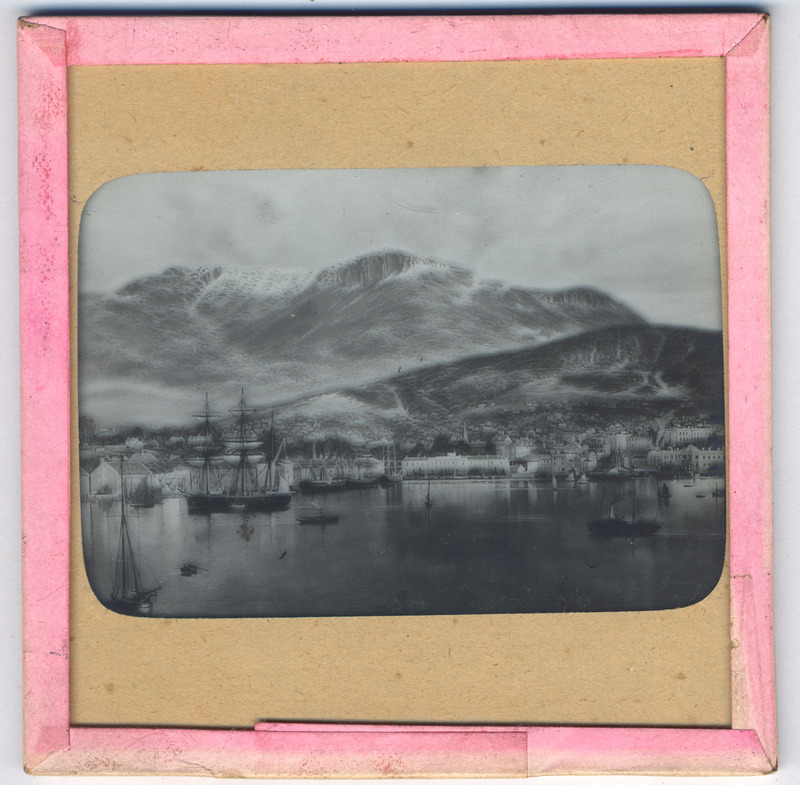 Lantern slide photograph of an early print of Hobart Town, Van Diemen's Land from the harbour. From the collection of James Backhouse Walker. Thought to have been prepared by J.W. Beattie (1859-1930) whose studio locations were in Elizabeth Street, Hobart from 1891-1920, Murray Street from 1921-40 and Cat and Fiddle Arcade, Hobart, until 1994.